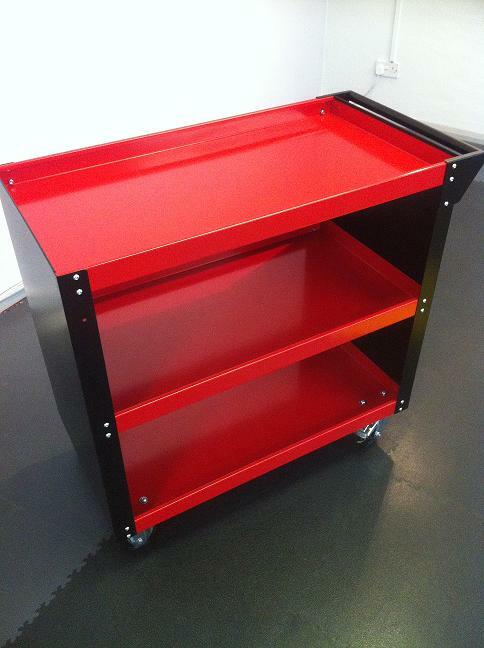 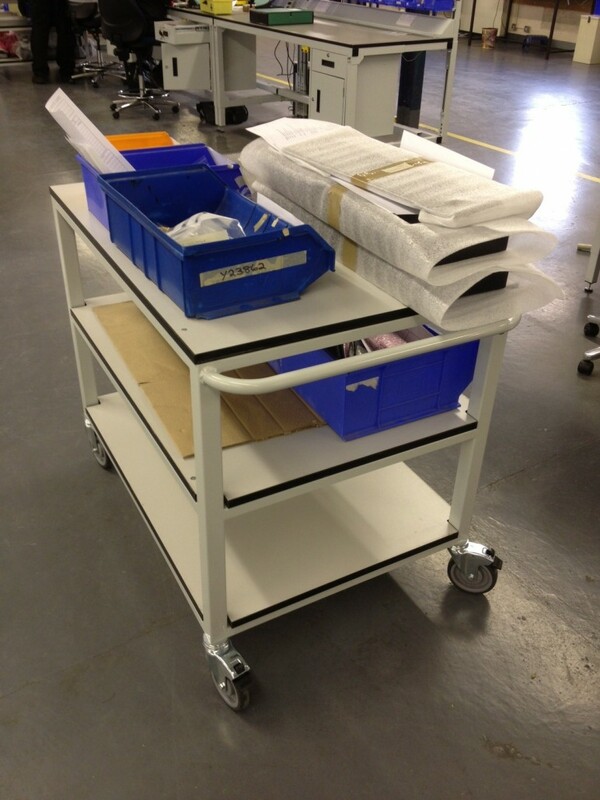 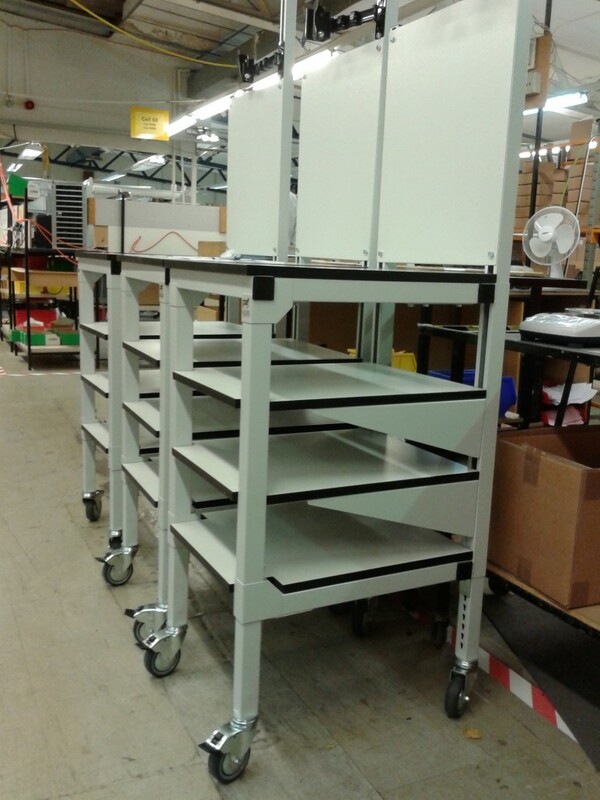 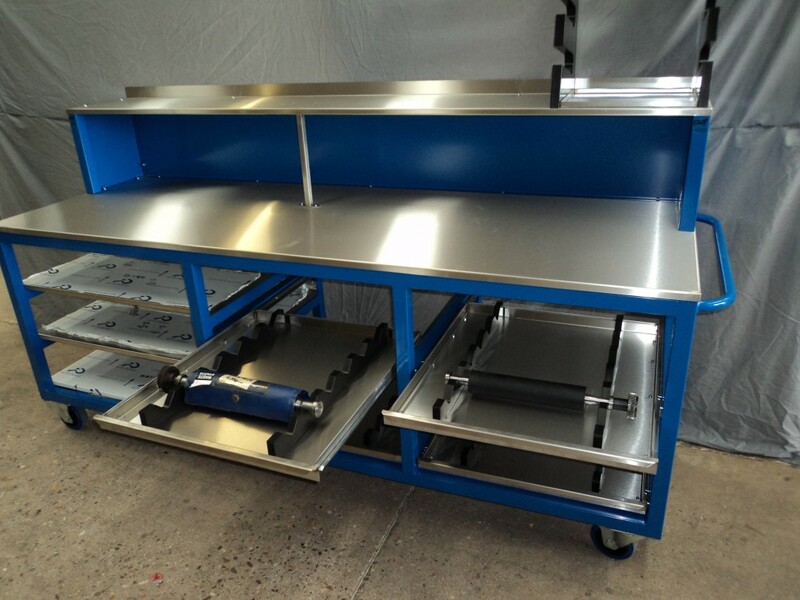 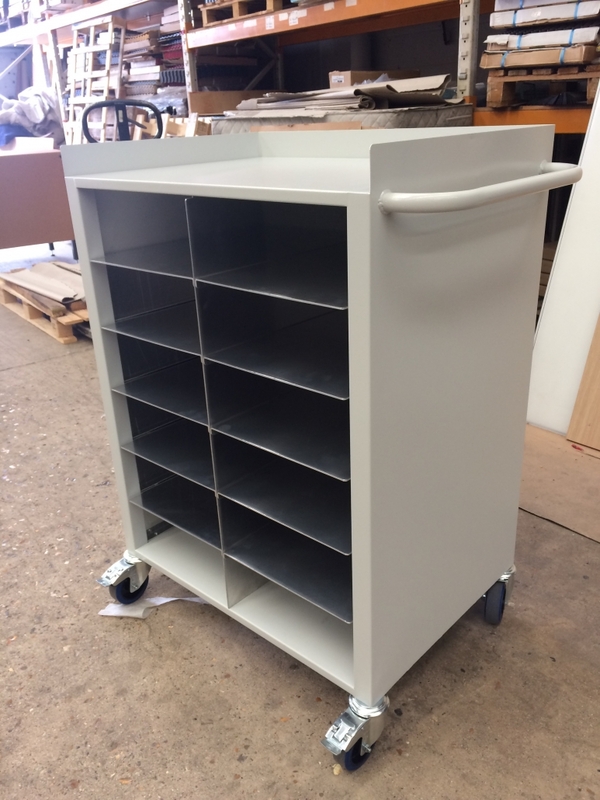 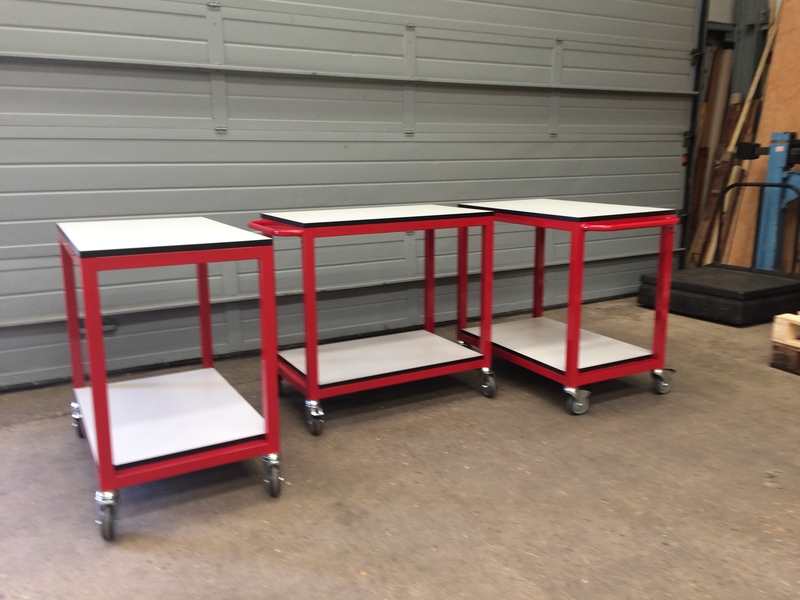 Our work trolleys are manufactured to customers exact requirements in terms of size, shape weight loadings and often incorporate unique design features to suit the end use such as integrated jigs and fixtures, storage and shelving. 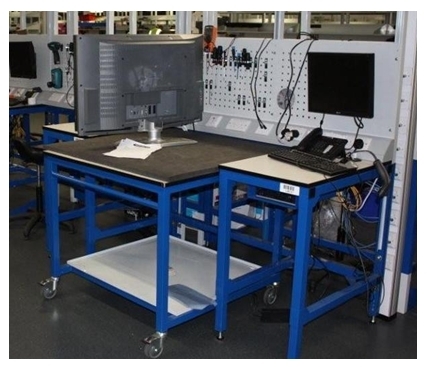 We often use our PAF Universal channel system for cost effective manufacture with the advantage of future adjustment and re-configuration. 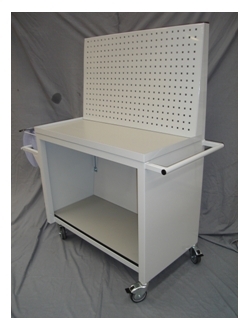 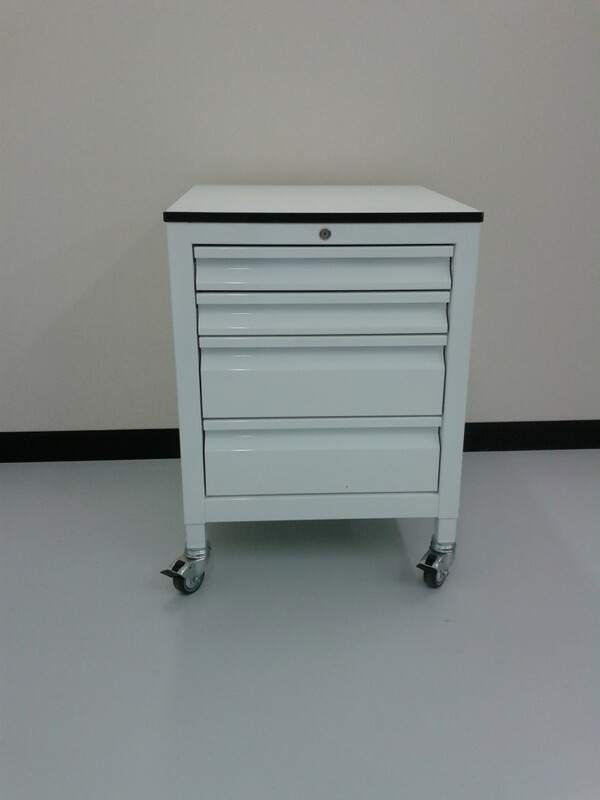 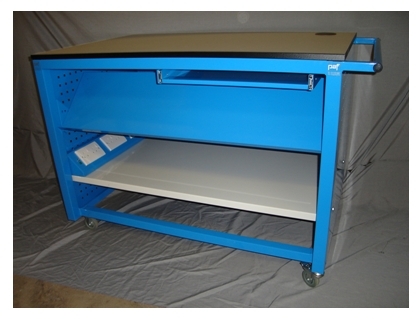 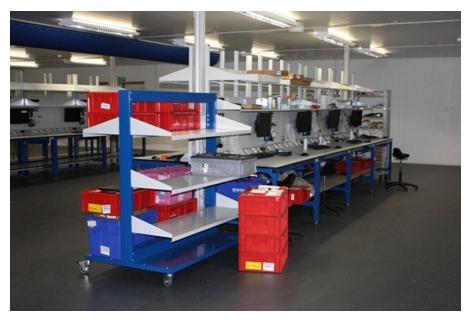 We are UK trolley manufacturers & offer a large range of custom storage trolley systems for a wide variety of applications to compliment our workstation products. 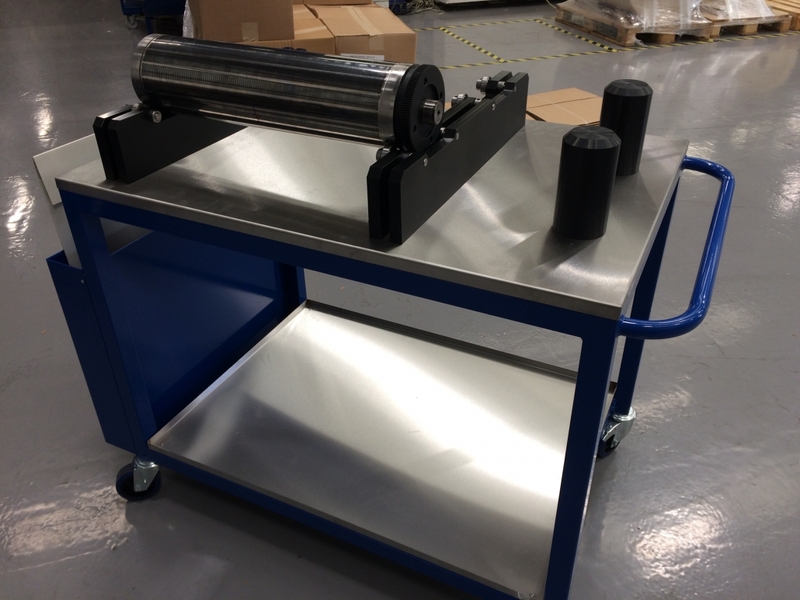 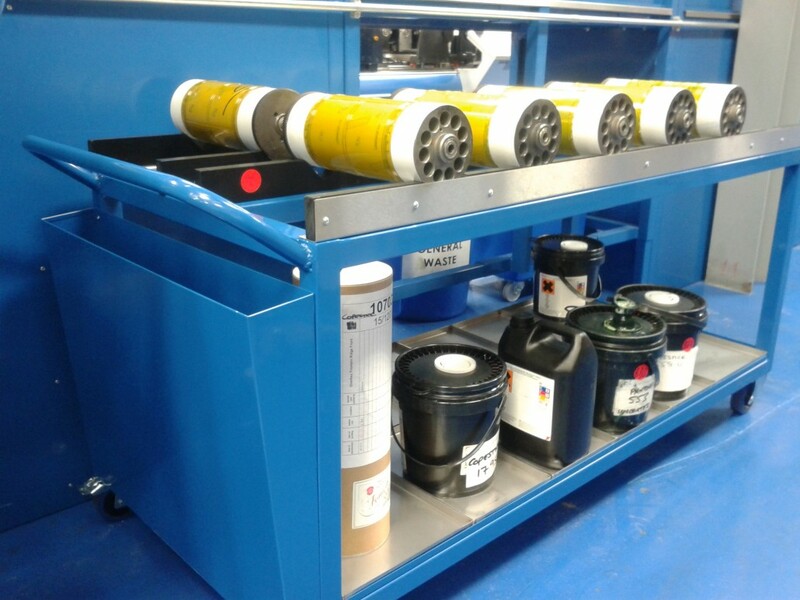 Many of our storage units are designed to safely house high value items including print rollers, machine tooling and test equipment. 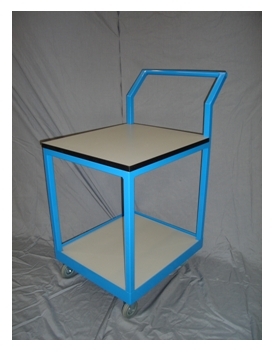 Applications include: warehouse picking trolleys, component storage trolleys & e-retailer packing trolleys.